Autumn holidays are here slowly coming to an end, and I am very happy that tomorrow the kids are going to school / kindergarten again we were able to include making autumn decorations into our activities and moments spent together. 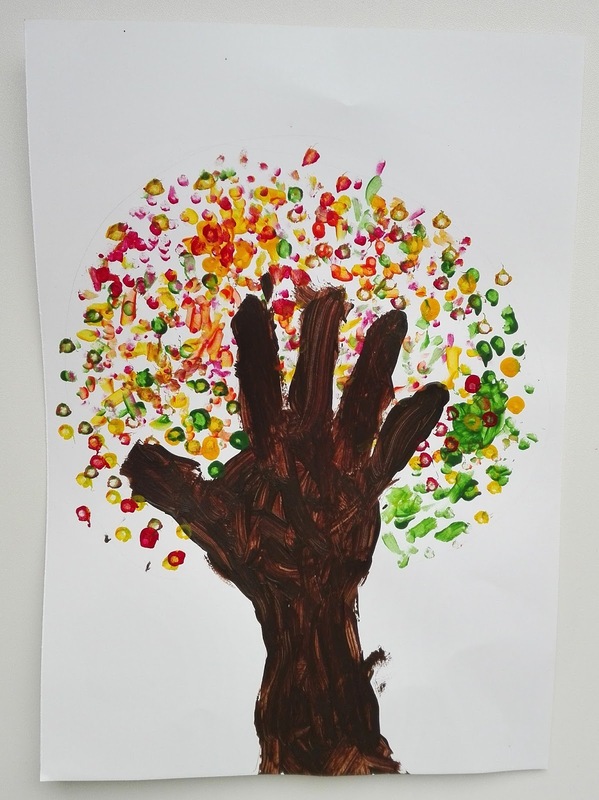 Judge for yourself how we succeeded. 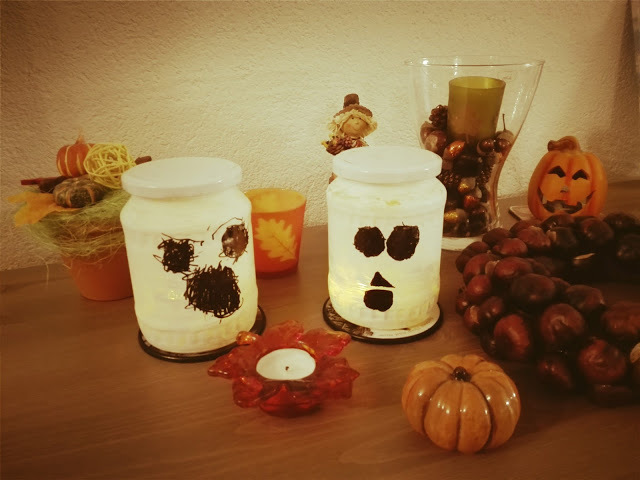 Although we do not celebrate Halloween in our family, the shortening autumn days are tempting to make a mason jar lantern. 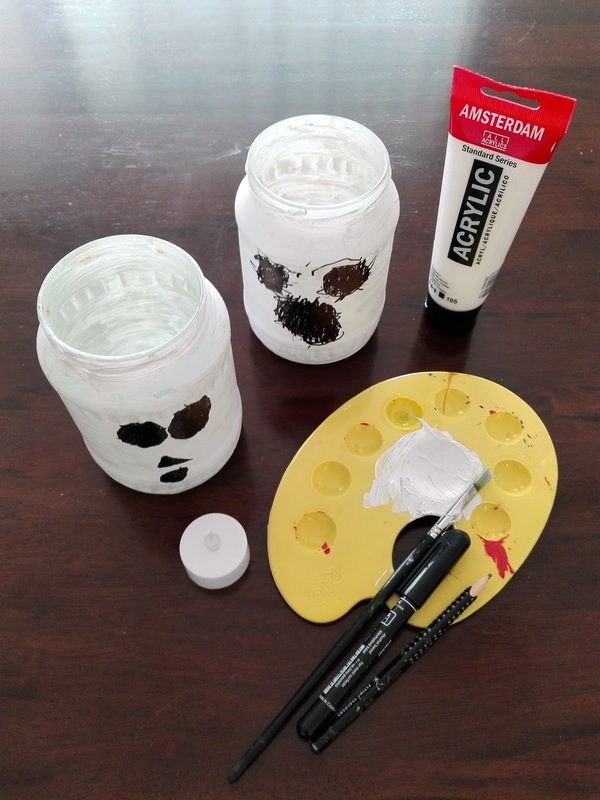 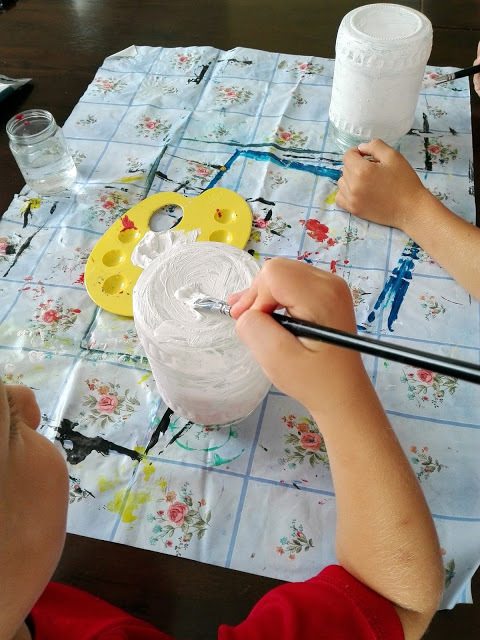 I let the boys decide whether they want to paint the glass like a pumpkin, ghost or monster (like here on Pinterest) and they have chosen a ghost. 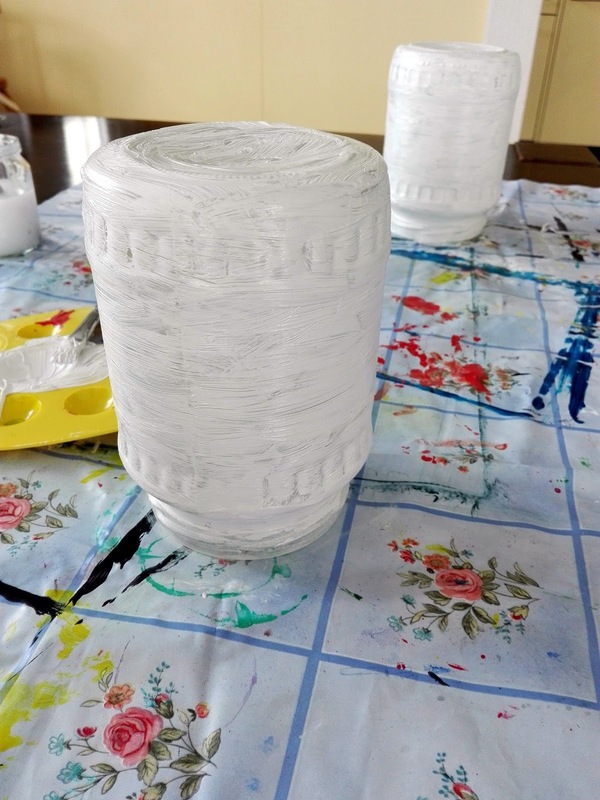 So they simply painted (by using a flat brush) white the glass´s exterior with an acrylic paint. 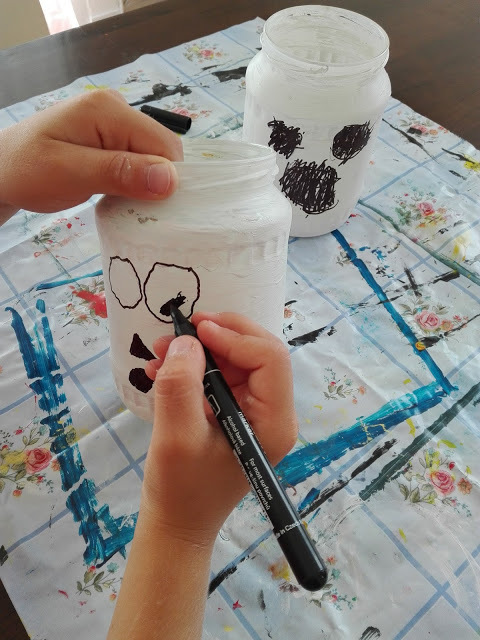 Then drew the eyes and mouth with a pencil, then coloured them in with the black marker. 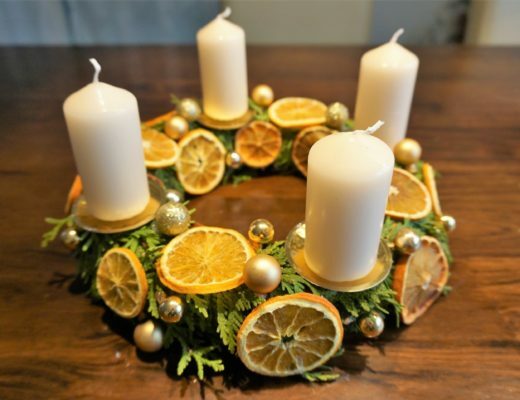 For security reasons, we did not light classical candle inside, but battery operated LED tea light. 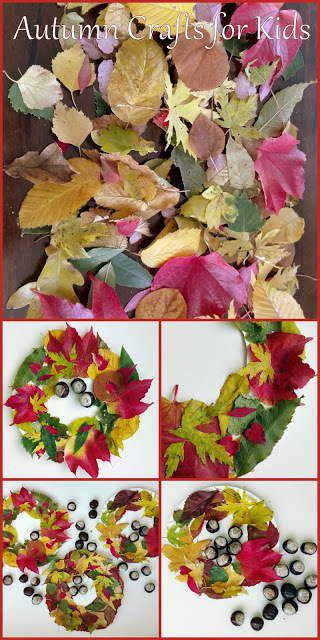 I have had the inspiration for this wreath saved on Pinterest for a long time, but I just waited for the leaves to beautiful color. 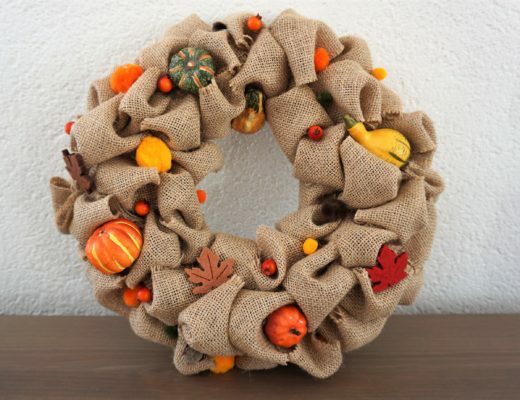 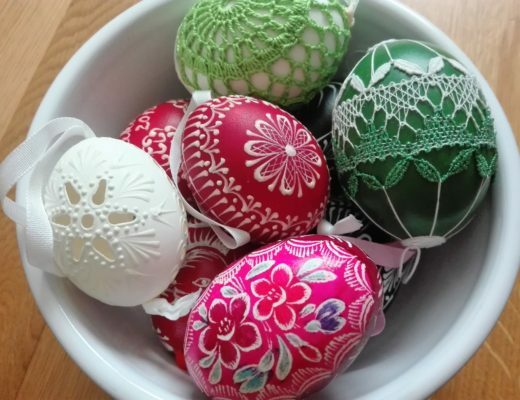 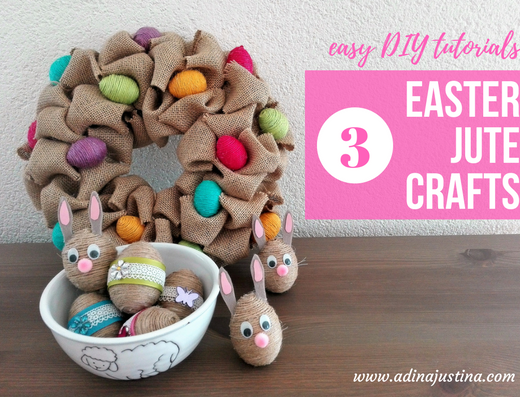 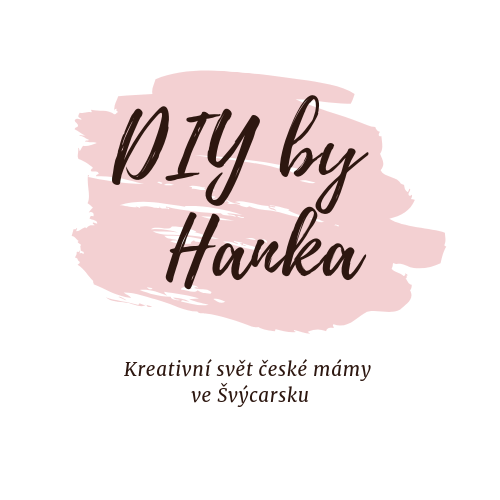 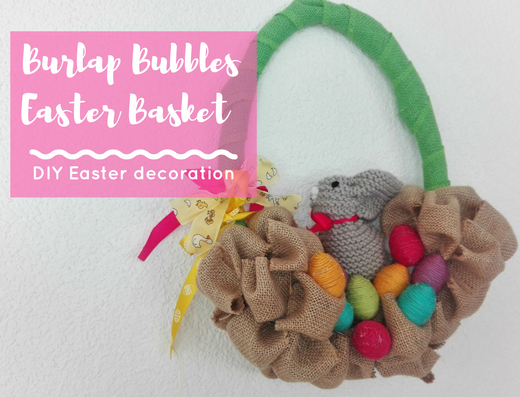 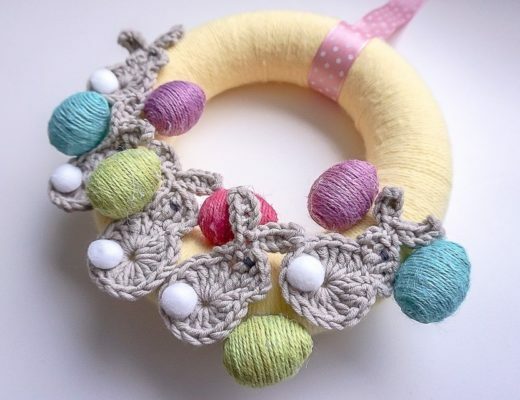 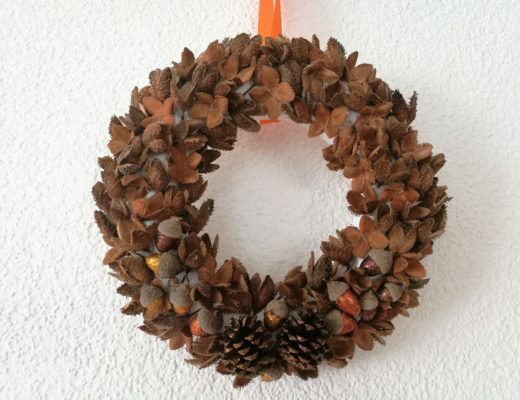 To create color wreath you need leaves of different sizes, shapes, and colors, the edge of the round paper plate, paintbrush, scissors, and glue. 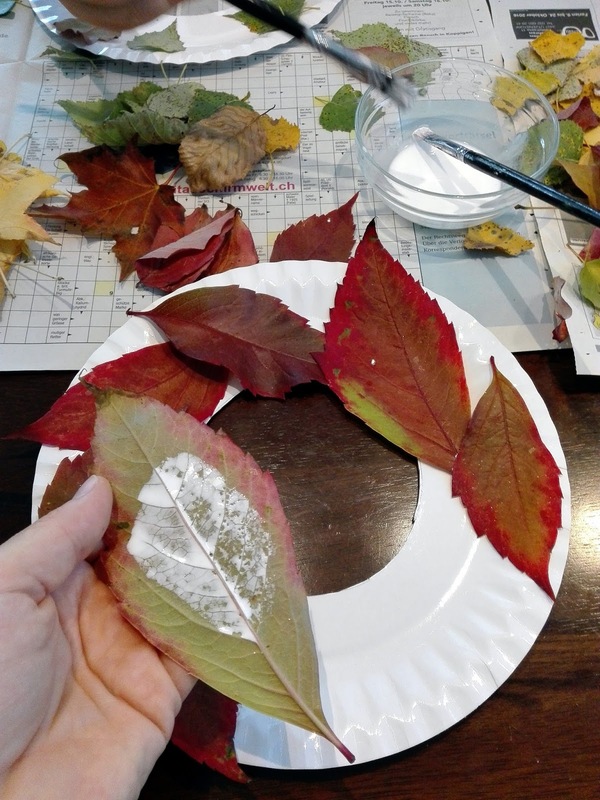 I suggest not to collect the leaves that are completely dry, but rather fine and soft (I do not know how better to describe it :)), so they are better glued to the paper plate. 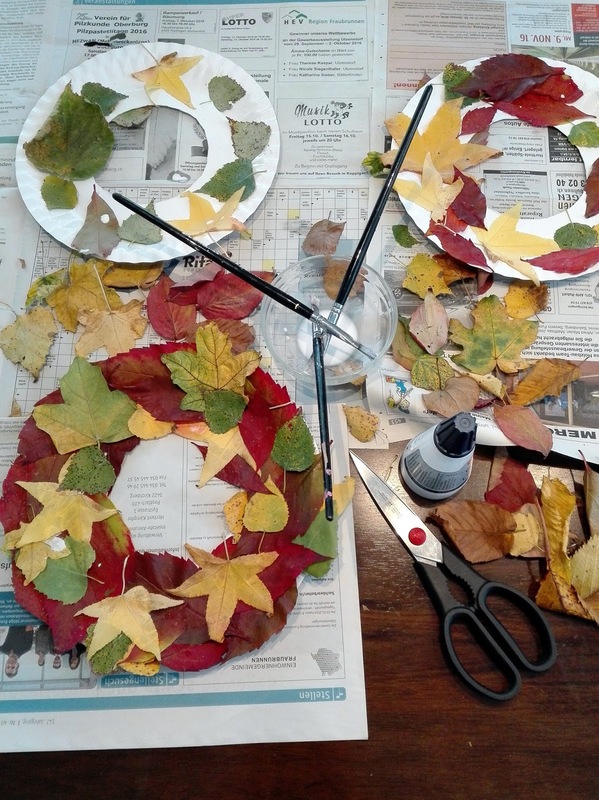 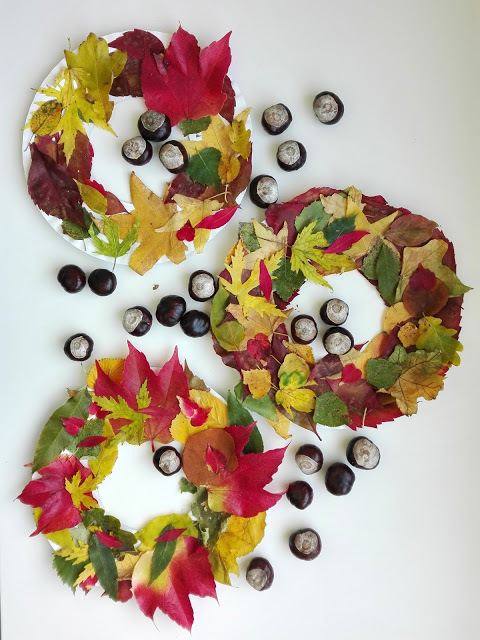 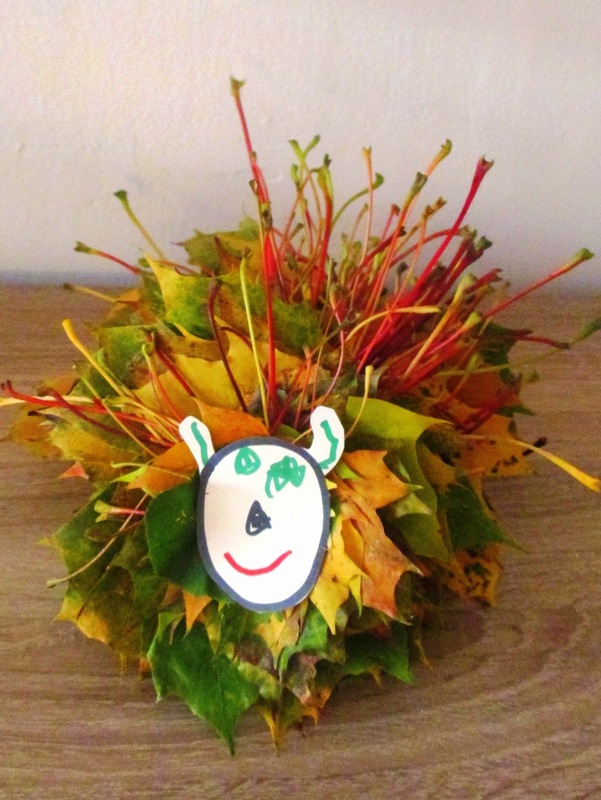 Not only we had enjoyed time spent together when creating fall decorations, but I also tried to teach them and explain something about the autumn nature and its magics. 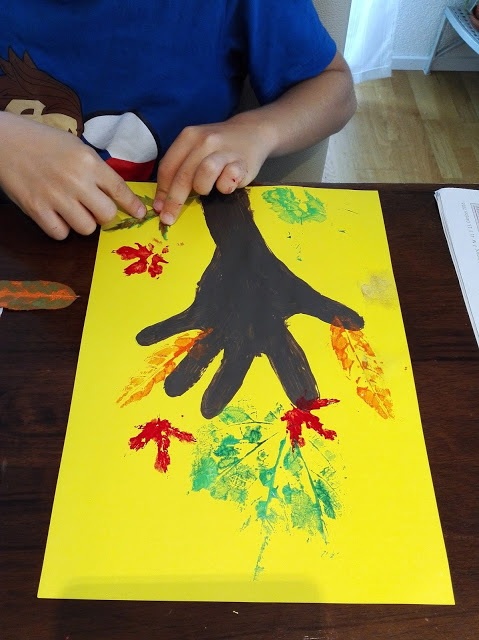 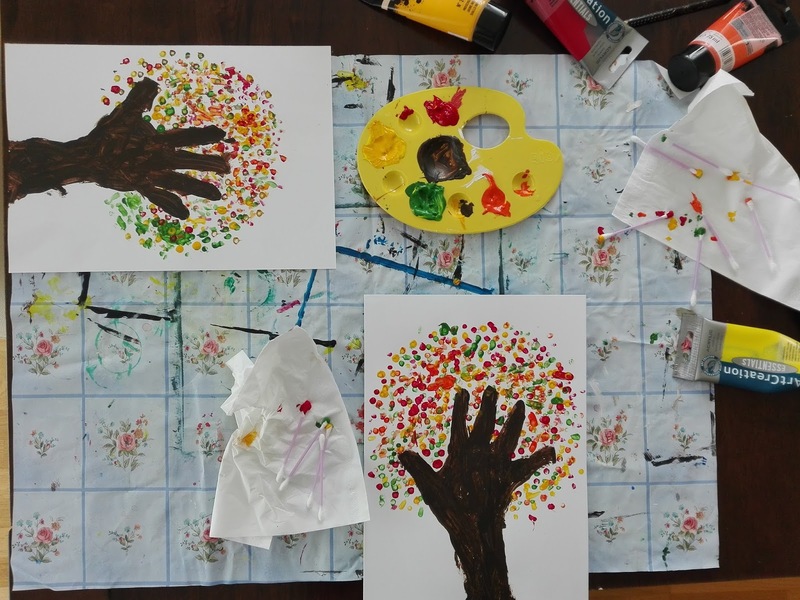 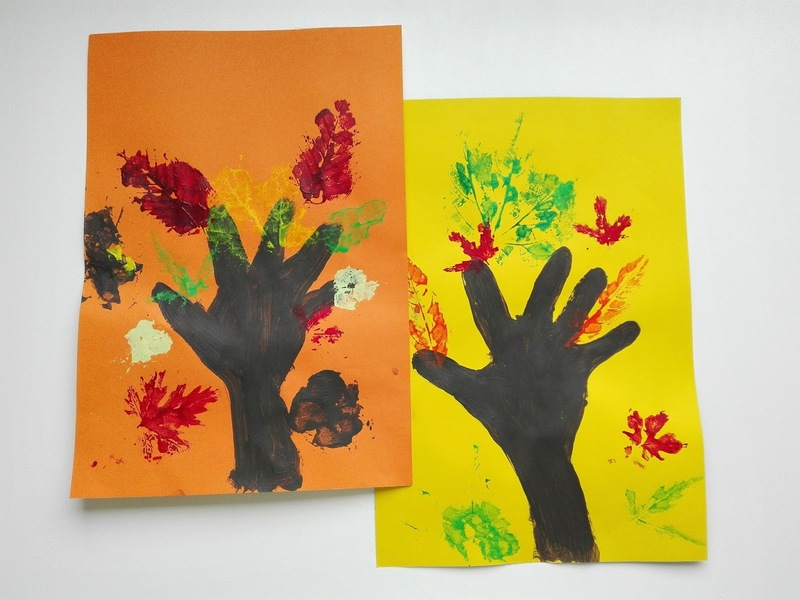 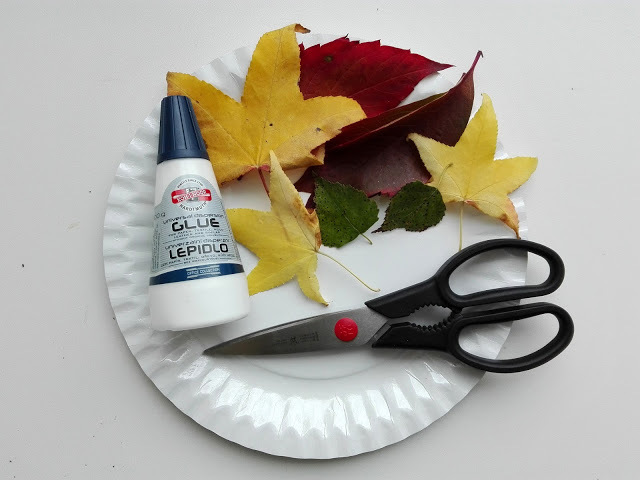 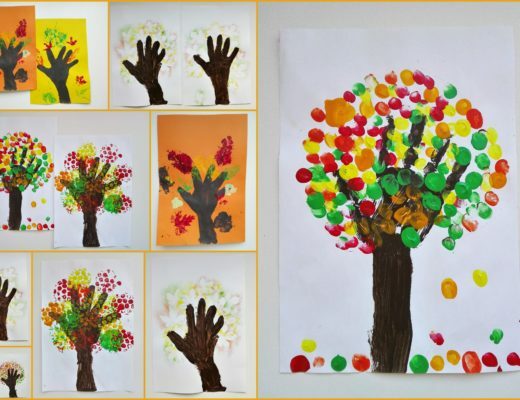 And how else than by creating the fall tree with colored leaves, which is very easy to make – you need only a sheet of white card, pencil, paints, and q-tips. 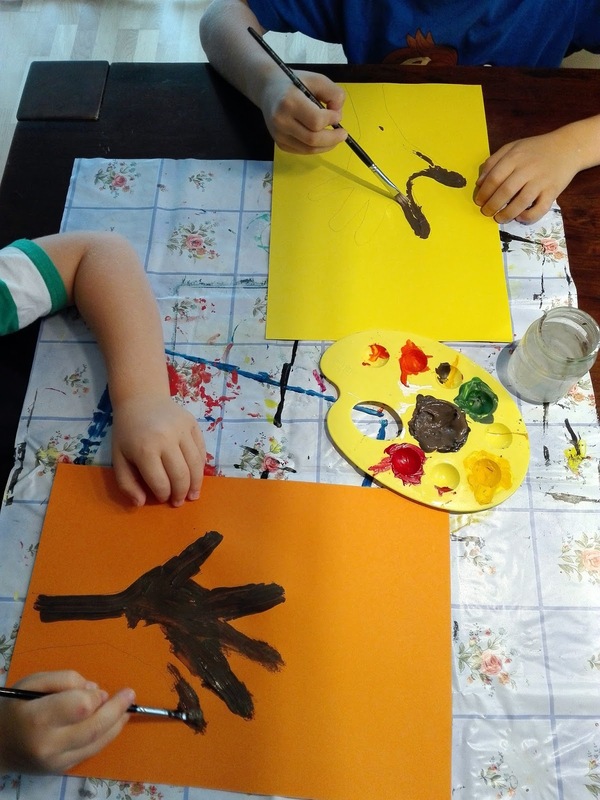 Using a pencil, I had drawn a line around their hands and arms and they painted them brown (a tree trunk). 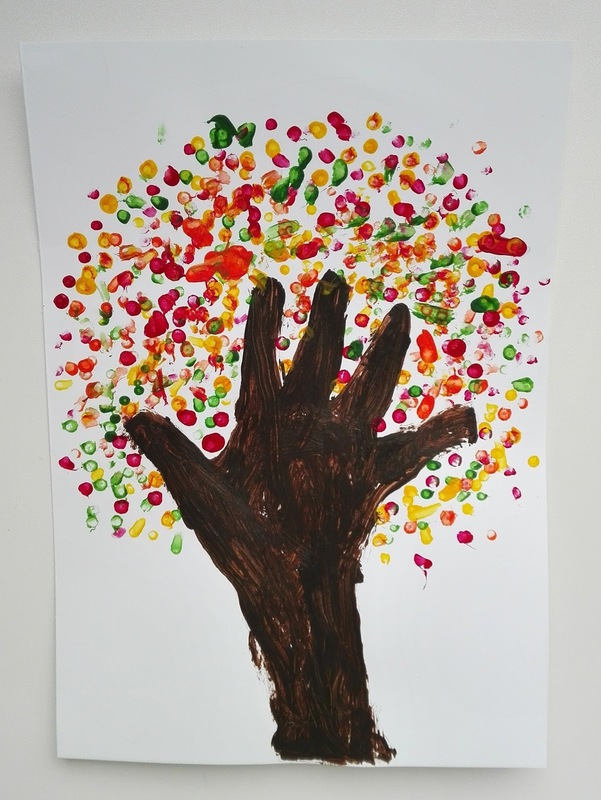 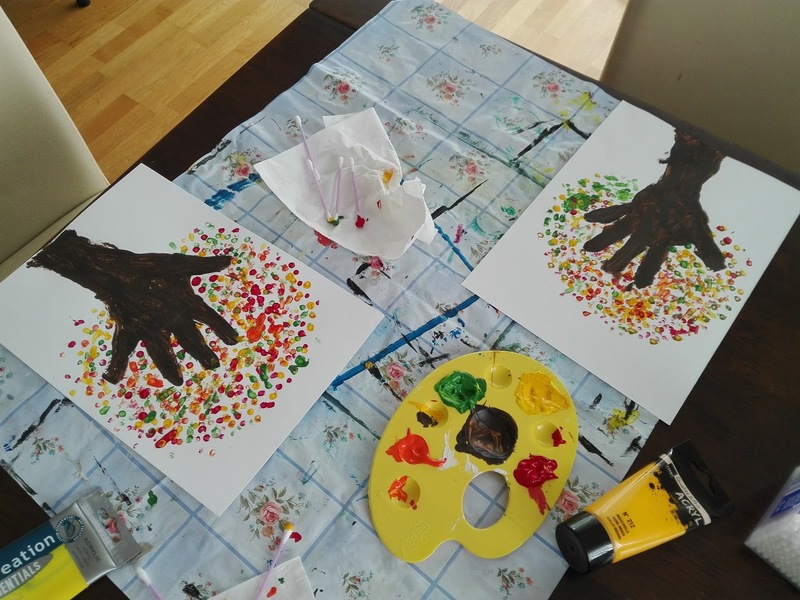 Then they started adding colourful dots by using q-tips – by this a wonderful effect of fall-coloured leaves has been created.